The House Financial Services Committee is one of the most powerful Congressional committees on the Hill. The Committee oversees not only the entire financial services industry but its policy portfolio also includes other overlapping responsibilities such as Housing, entrepreneurship and international financial organizations. Last election cycle, the House of Representatives saw the Democrat Party take control. This meant every Committee experienced a change in leadership. For the House Financial Services Committee, veteran Representative Maxine Waters took control. Waters has been in the house since 1991 so she has experienced quite a bit. She has risen the ranks of Congressional leadership to become the ranking member of the Financial Services Committee – previously serving as the ranking member. Areas of priority for Representative Waters are expected to include consumer protection regulation and the controversial Consumer Financial Protection Bureau which became embroiled in a political spat when the first Director, Richard Cordray, left to run for Governor in Ohio (he lost). One of her first moves as Committee Chair was to summon several big bank executives to Washington, DC. The meeting has been described in various ways with Waters describing the meeting as a learning experience. 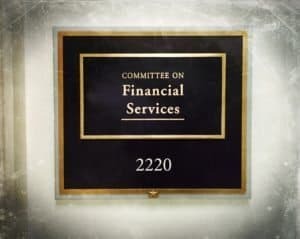 It has been widely reported that a hearing in the Financial Services Committee will be scheduled this spring to scrutinize the big banks and how they can help the economy. The first round of hearings beginning next week will tackle topics such as the use of sanctions in foreign policy, affordable housing, diversity issues, the homeless, and banking for the Cannabis industry. Of course, more will follow. Fintech has the potential to provide better services, at a lower cost, for both consumers and businesses. The underbanked (or not banked at all) may be able to access services previously available only to the more prosperous population. Access to credit, wealth management, and growth capital are being facilitated by a growing legion of innovative financial services. Many of these Fintechs are challenging traditional financial services firms as they seek to disrupt established incumbents using a digital first approach. Chairwoman Waters has a mixed record when it comes to innovative financial firms. Yet during the tenure of her predecessor, Representative Waters backed the bi-partisan JOBS Act 3.0 bill that sought to help out small businesses and entrepreneurs. 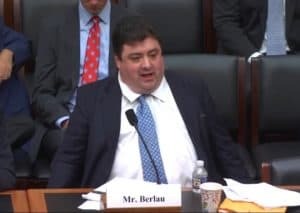 “Such legislation is increasingly urgent with an uncertain stock market, as ordinary investors and entrepreneurs are looking for new avenues of raising capital and building wealth,” said Berlau. 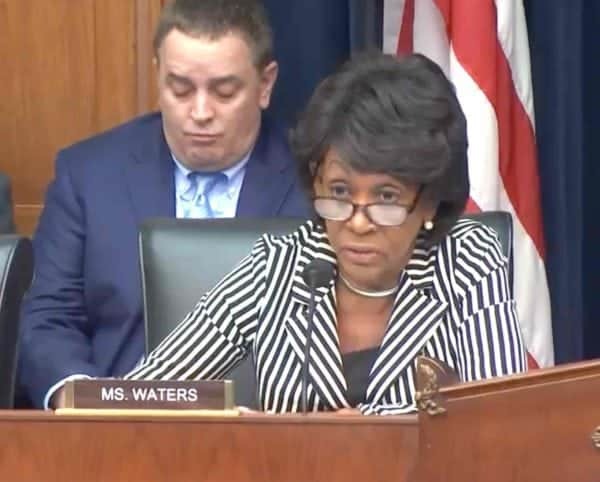 During the presentation, Waters mentioned specifically the “Fix Crowdfunding Act” and the “Supporting America’s Innovators Act” which was designed to make it easier for investors to finance early-stage firms. 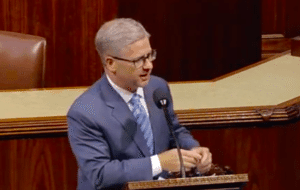 The Fix Crowdfunding Act legislation referenced would have raised the limit on Reg CF to $5 million – from its current $1.07 million – while allowing for special purpose vehicles (SPVs) which would make the security exemption far more manageable. Improving Reg CF can lead to better companies using the exemption while simultaneously providing smaller investors with better investment opportunities (contingent upon final language). At the time, CEI published a letter in support of the legislation which cruised through the House only to die in the Senate. Let’s hope Berlau’s expectations prove true.